"Cosmologists are often wrong but never in doubt," Russian physicist Lev Landau once said. In the early days, astronomers began by observing and modelling stars in different stages of evolution and comparing their findings with theoretical predictions. Stellar modelling uses well-tested physics, with concepts such as hydrostatic equilibrium, law of gravitation, thermodynamics, nuclear reactions etc. Yet in contrast, cosmology is based on a large number of untested physical assumptions, like nonbaryonic dark matter and dark energy whose physics has no proven link with the rest of physics. 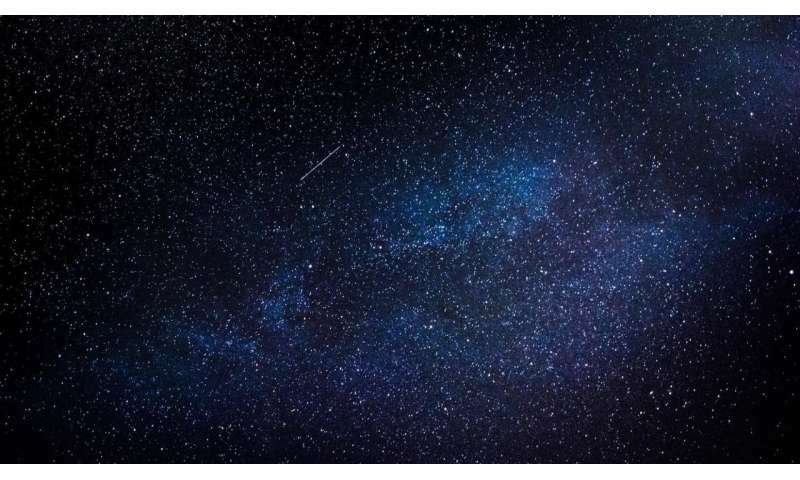 In a recent paper published in EPJ H, Jayant V. Narlikar, professor emeritus at the Inter-University Centre for Astronomy and Astrophysics in Pune, India, shares his personal reminiscences of the evolution of the subject of cosmology over six decades. He tells of the increase in our confidence in the standard model of cosmology to the extent that it has become a dogma. Narlikar first describes cosmological research in the 60s and 70s and explains how it covered key areas, including the Wheeler-Feynman theory relating the local electromagnetic arrow of time to the cosmological one, singularity in quantum cosmology and the observational tests of discrete source populations in different models of the expanding universe. In the subsequent tests to validate theories, one key discovery—cosmic microwave background radiation (CMBR)—in the mid-sixties changed physicists' perspective of the big bang. However, today's cosmologists appear to be caught in a range of speculations in their attempts to show that the big bang model is correct as opposed to any alternative model. The author discusses how the well-accepted standard model, the so-called standard big bang cosmology (SBBC) does not have independent observational support for its basic assumptions like the non-baryonic dark matter, inflation and dark energy. Nor does it have an established theoretical base. The German physicist Max Born said many years ago: "Modern cosmology has strayed from the sound empirical road to a wilderness where statements can be made without fear of observational check..." Narlikar feels that those comments apply very well to the present state of cosmology. However, today's cosmologists appear to be caught in a range of speculations in their attempts to show that the big bang model is correct as opposed to any alternative model. The author discusses how the well-accepted standard model, the so-called standard big bang cosmology (SBBC) does not have independent observational support for its basic assumptions like the non-baryonic dark matter, inflation and dark energy. Nor does it have an established theoretical base. Indeed. Is there a crack appearing in merger mania land? 60 years of studying and we still cant manipulate spacetime in any meaningful way. You humans are stupid. NO wonder why the aliens dont communicate with us, they are too busy laughing and making comedy shows for the rest of the galaxy to watch! "Cosmologists are often wrong but never in doubt,"
He tells of the increase in our confidence in the standard model of cosmology to the extent that it has become a dogma. The dark pseudoscientific claptrap is dogma, science is in a pathetic state of affairs. However, today's cosmologists appear to be caught in a range of speculations in their attempts to show that the big bang model is correct as opposed to any alternative model. - Cepheid and Type Ia 'standard candle' supernovae NOT STATIONARY or SAME (local conditions/contents vary); fast-moving Cepheids and Supernovae can be RED-OR-BLUE-shifted depending on PROPER MOTION (ie, radial velocity peculiar to EACH case); not to mention known variability in local dust/dynamical effects on light brightness/shifting locally/along line-of-sight path from there to here). - We NOW detect NORMAL (ie, BARYONIC) previously 'undetected' Matter in various energy/motional states) EVERYWHERE we look (and more to come). So NO EXOTIC Dark Matter! - Every Black Hole ever formed has a region at/above its Event Horizon where outwardly directed PHOTONS are infinitely/extremely REDSHIFTED to CMBR-wavelengths; AND EVERY BH/Neutron Star JET DIRECTED AWAY FROM US 'sends back' (to our detectors) DOPPLER-redshift photons of CMBR wavelengths. So NO 'Big Bang' CMBR! Ahhh, J. V. Narilkar, bless 'im! Still bitter after all these years, due to his and Hoyle's steady state universe getting overturned. Tough one, J.V. S*** happens. If there was any evidence for it, we'd still be talking about it. Really? Really? Is that all you have to say about it, mate? You impugne the person by calling him "bitter"; while you keep ignoring the mounting evidence against Big Bang as hypothesized originally by those (eg, also Prof Roger Penrose) who NOW admit it was WRONG; and against Inflation (eg, Prof Paul Steinhardt) who NOW admit there has never been any TENABLE scientific evidence for it; and etc etc? "Modern cosmology has strayed from the sound empirical road to a wilderness where statements can be made without fear of observational check.." Narlikar feels that those comments apply very well to the present state of cosmology. ["
......then we get the Jonesies who come on here to proclaim every excuse possible for why the OBSERVATIONAL EVIDENCE proves no BH exists at the center of our galaxy, they make up stuff like "we can't see BHs because they're black", or "the cameras & telescopes used at the above website are not sufficient enough to resolve imaging stars in the core of the galaxy", they say stuff like this even while they are staring at evidence of pics which plainly show the opposite of what they say we shouldn't be able to see........right Jonesy?